New Collegiate 17.5 ‘’ extremely comfortable close contact saddle. Well made with soft supple leather. Changeable gullet as your horses shape changes the changeable gullet allows you to alter the width of your saddle to custom fit your horse. Shipping at Buyers expense, Paypal available. Texas Best Saddle In new condition. This classic style saddle includes a smooth grain leather padded seat, a rugged tree built by the Steel Saddle Tree. Please request photos for measurement confirmation. Shipping at buyers expense. PayPal available. 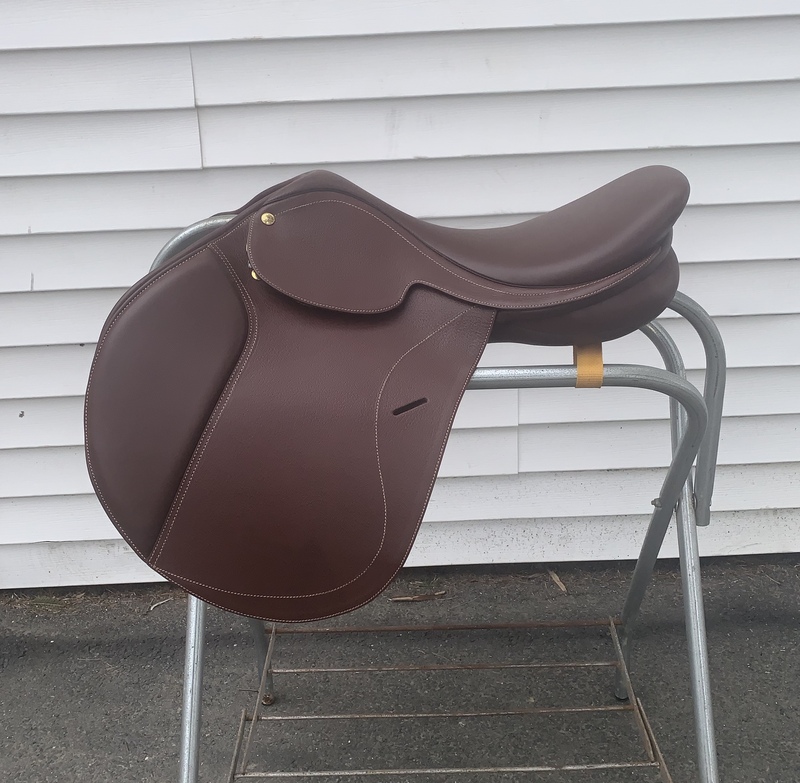 Well made 17" English saddle in good condition. This saddle has normal wear and has been excellently maintained. Gidden saddles are made from top quality leather with craftsmanship to last a lifetime. Please request photos for measurements. Shipping at buyers expense. PayPal available.